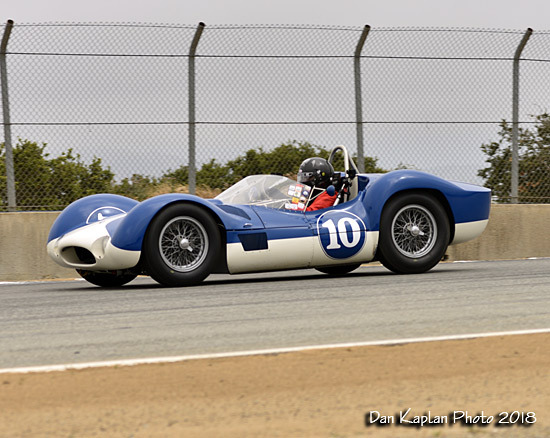 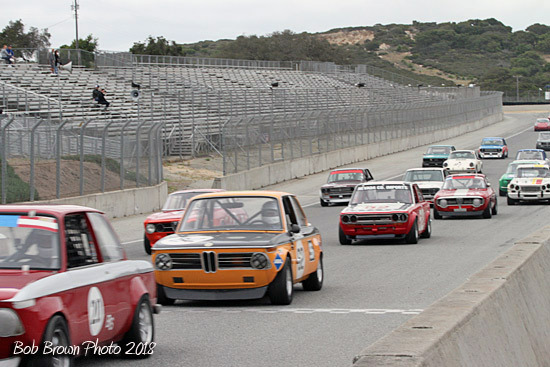 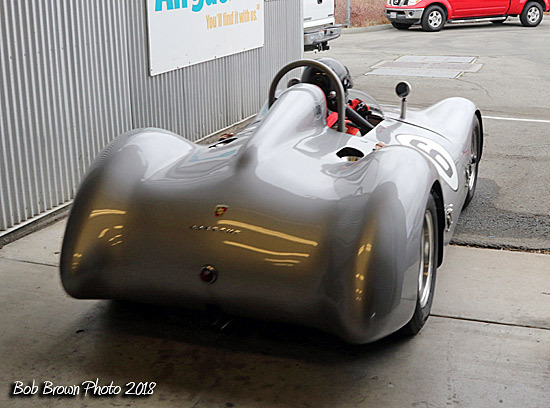 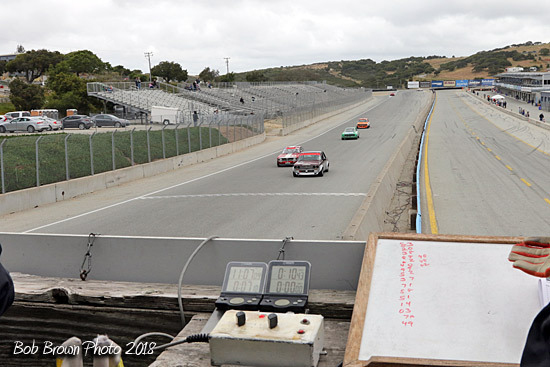 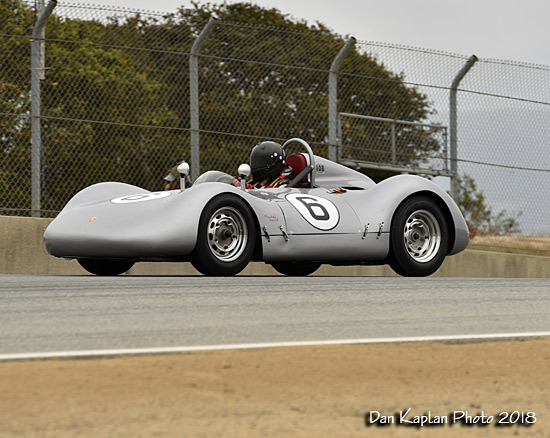 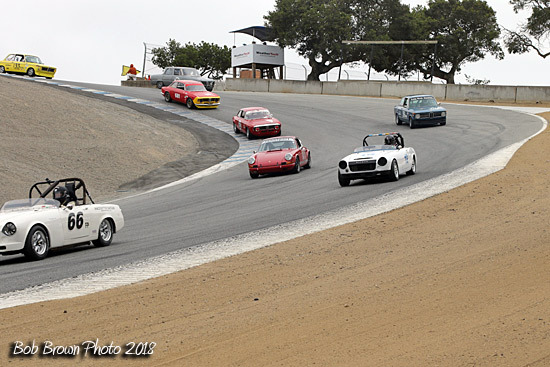 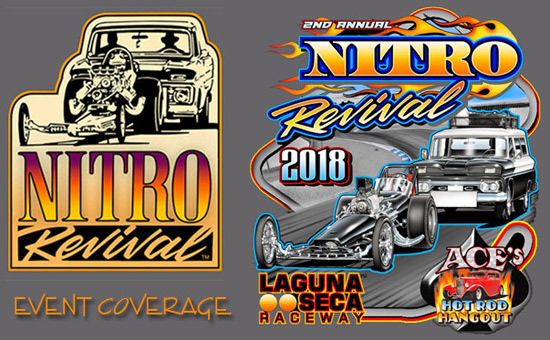 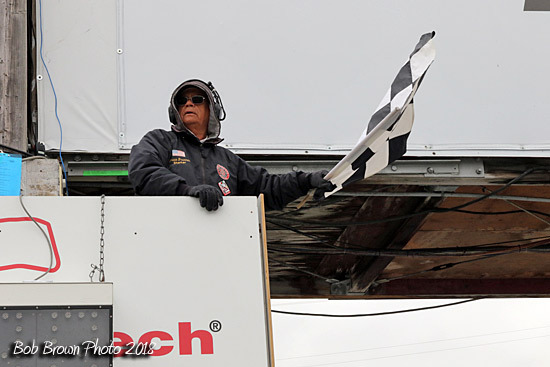 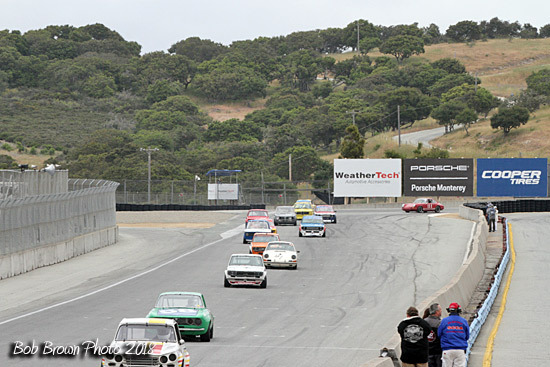 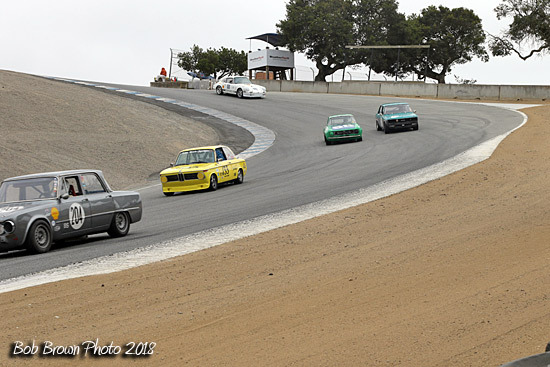 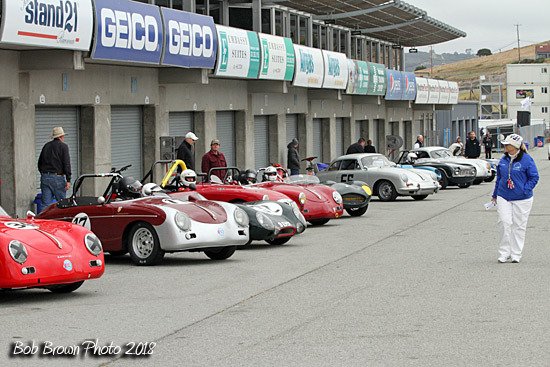 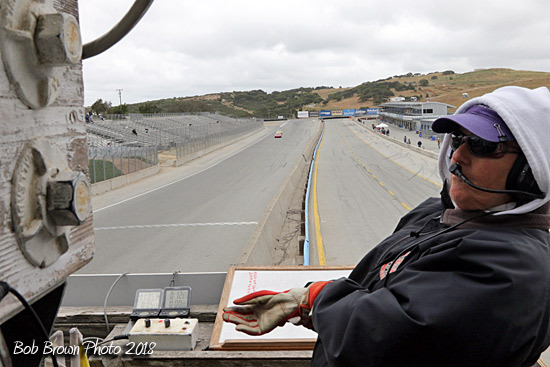 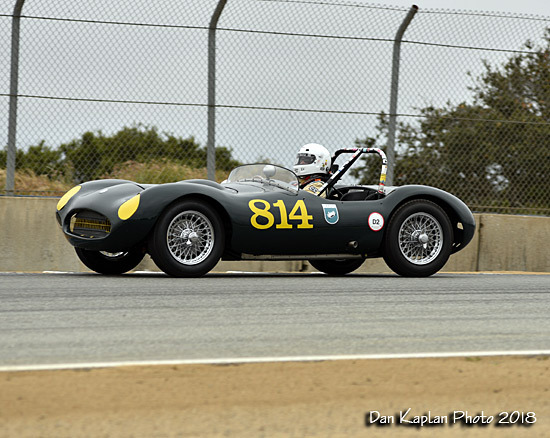 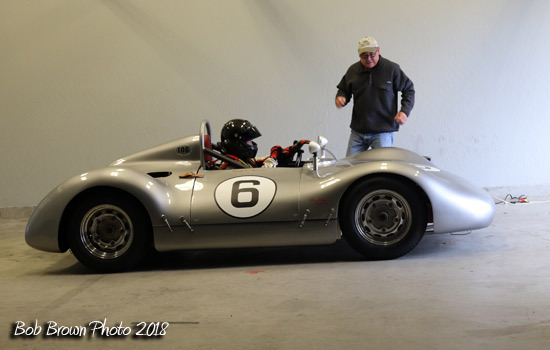 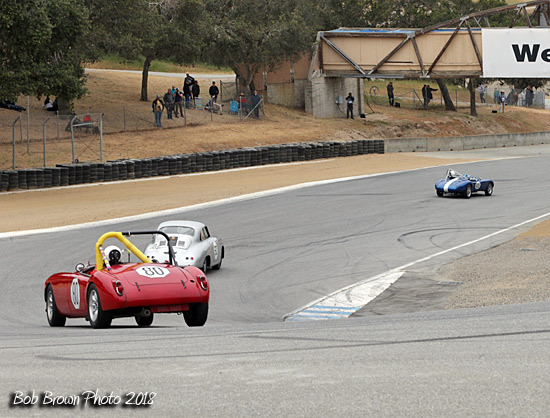 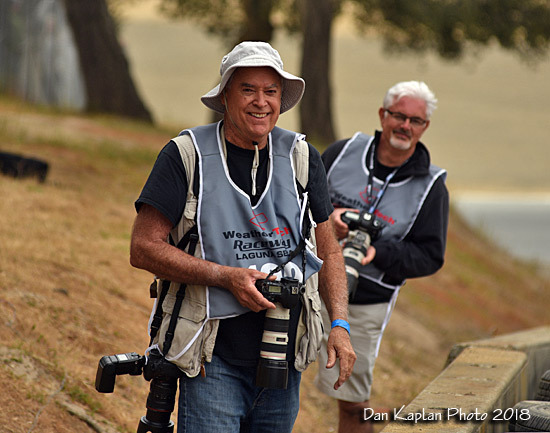 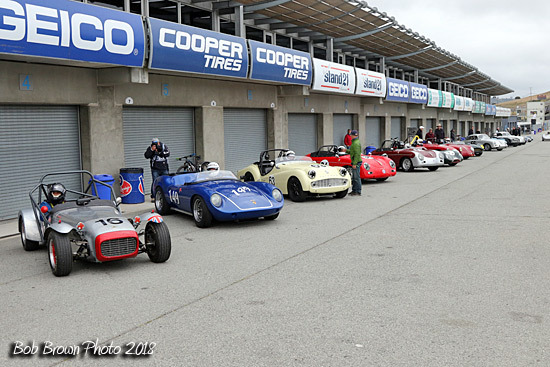 Nine groups of vintage race cars competed on Saturday and Sunday with two races being decided each day with the exception of Groups A, F, and I  a pool of whom combined for a one-hour endure to close racing on the course on Saturday. 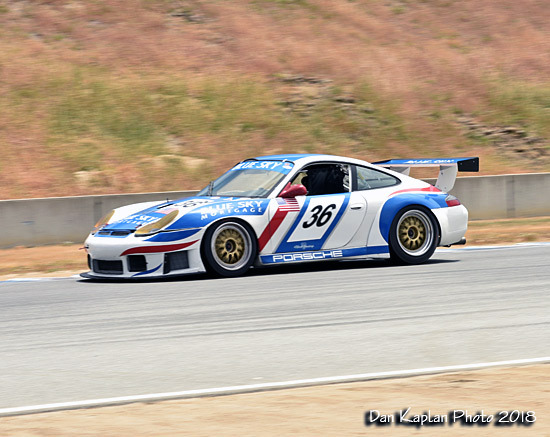 Clay Koevary won the enduro in the 2000 Porsche GT3R that was originally campaigned as the Aspen Knolls car by Mike Colucci Racing in 2000. 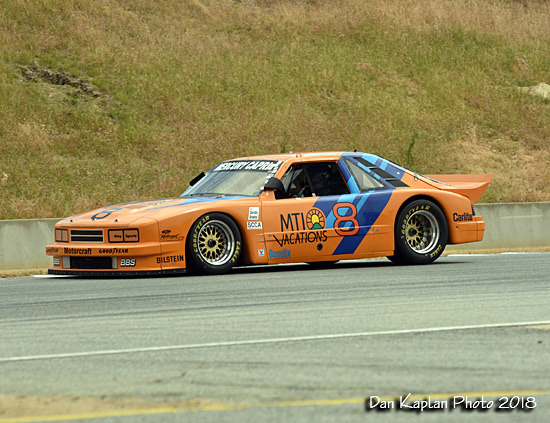 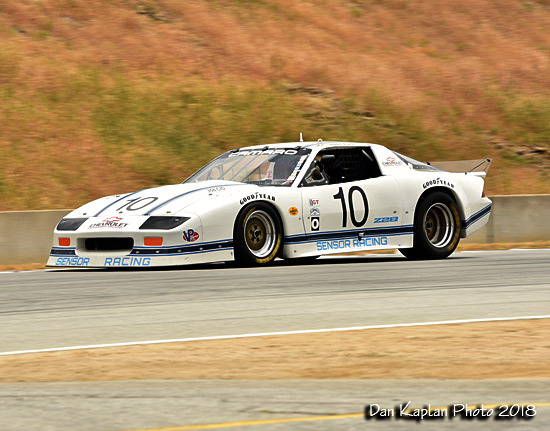 The SCCA GT & IMSA RS cars in Group A saw Mike Thurlow putting a thorough whooping on the rest of the grid by sweeping both Sunday races in his 1976 Chevrolet Camaro that Michael Beard originally drove at SCCA events. 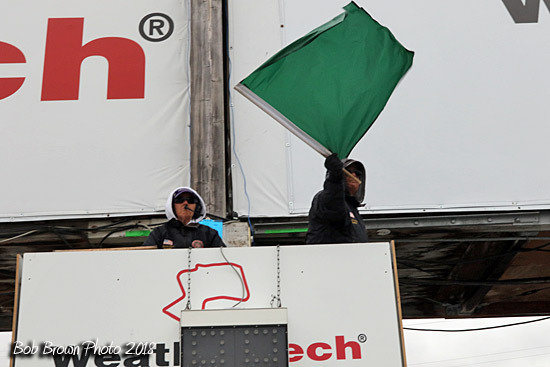 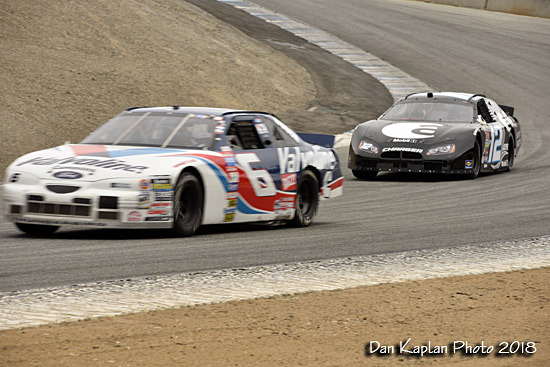 In the one Saturday race, he finished second on the podium to Jeffrey Abramson in the No. 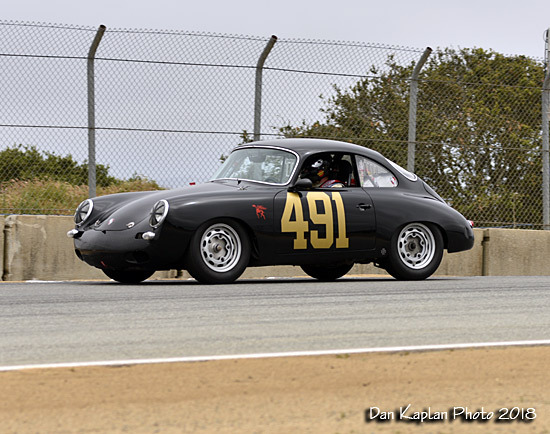 56 Peerless Racing Camaro. 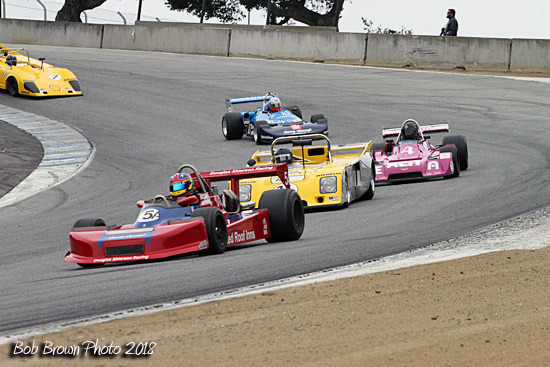 1967-1980 Formula Ford had great back-and-forth racing in Group B. Nicholas Colyvas drove his 1969 Merlyn MKII to victories on Saturday Race 2 and Sunday Race 1. 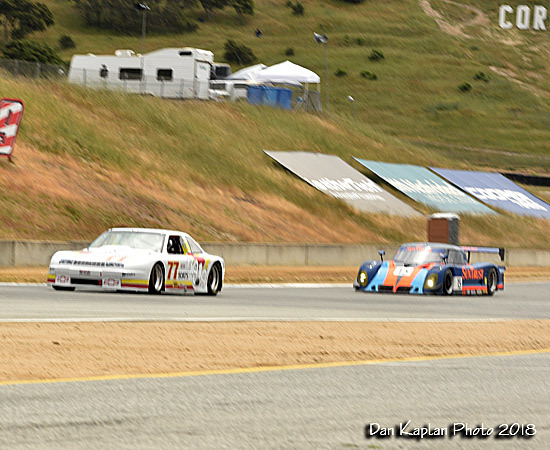 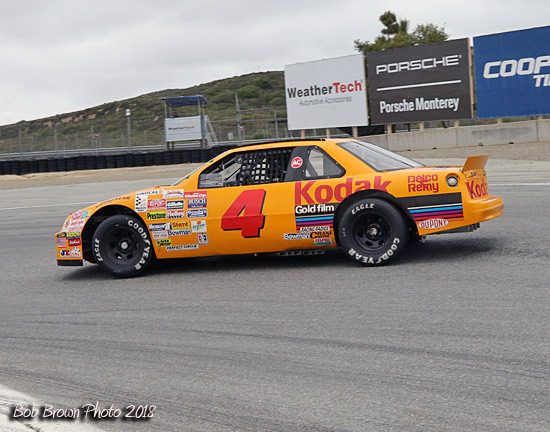 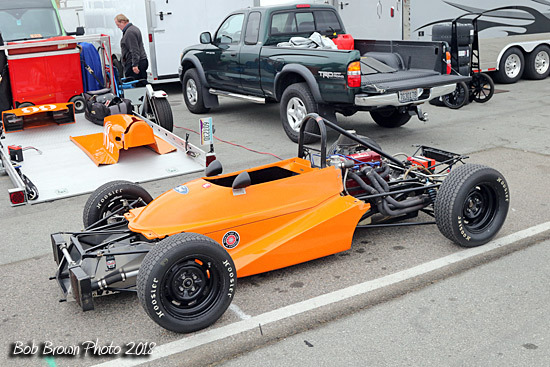 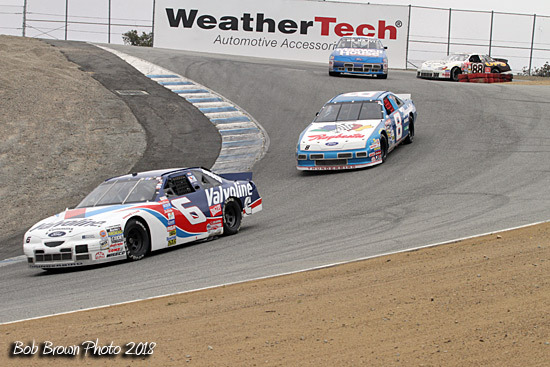 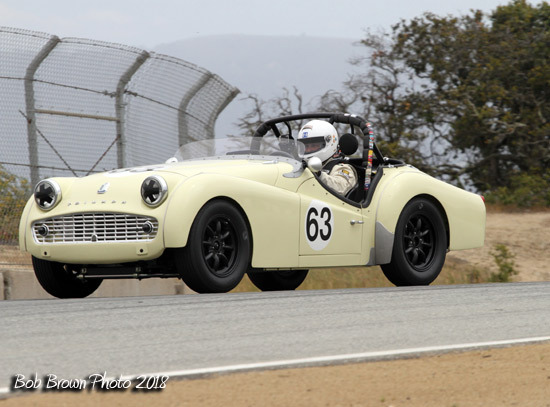 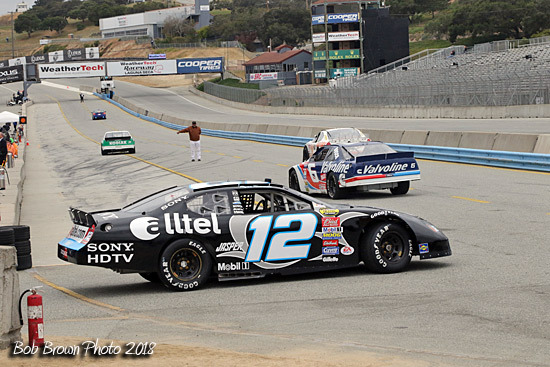 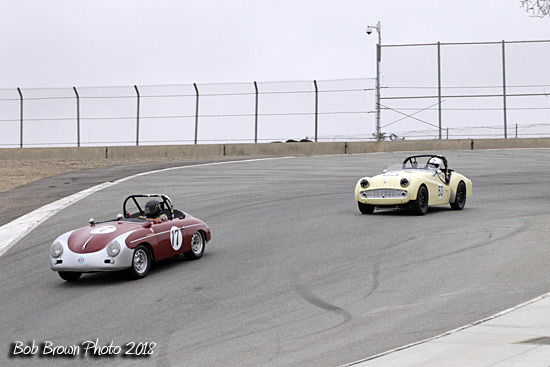 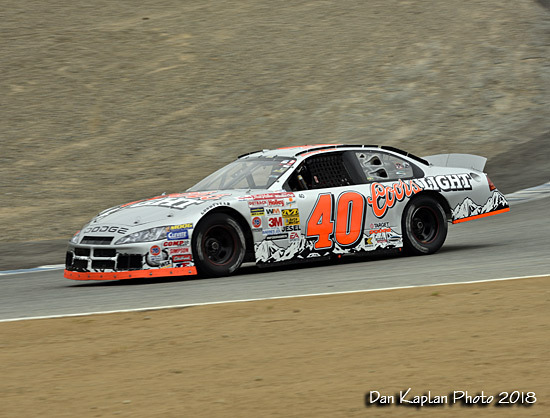 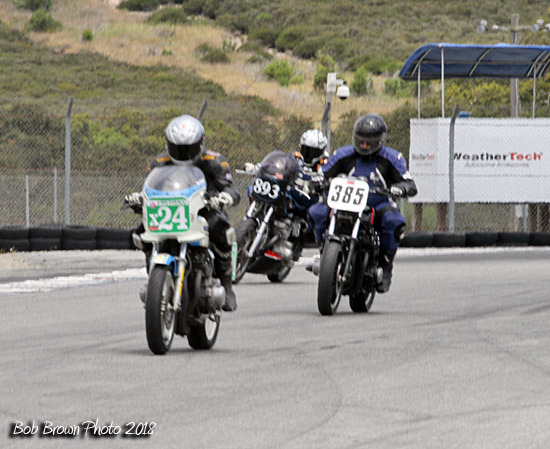 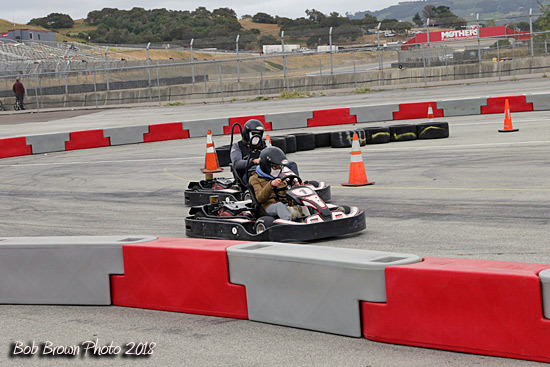 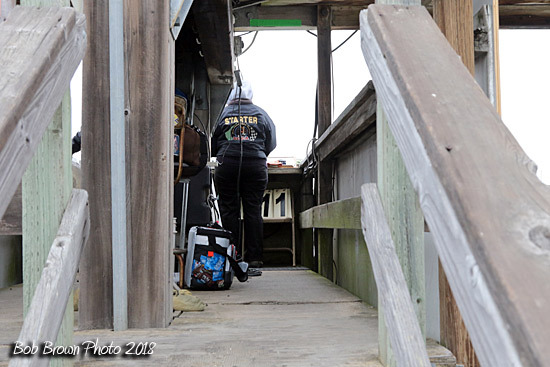 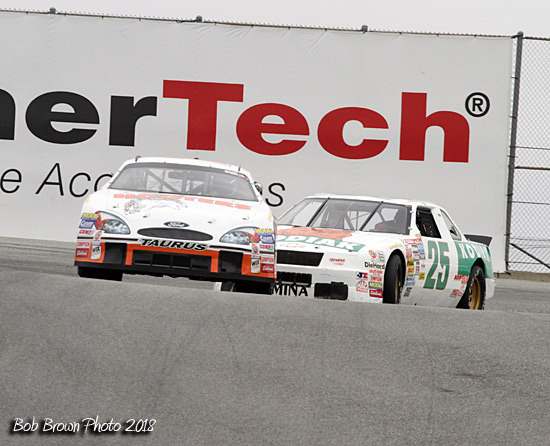 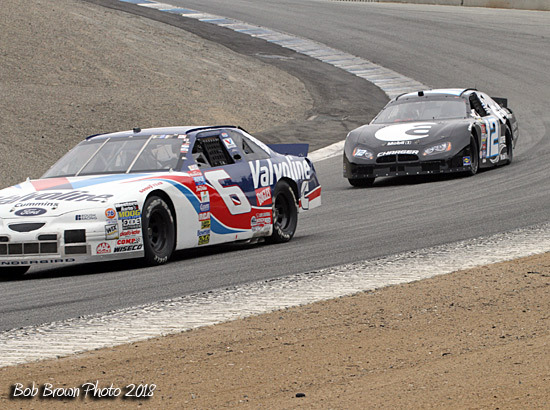 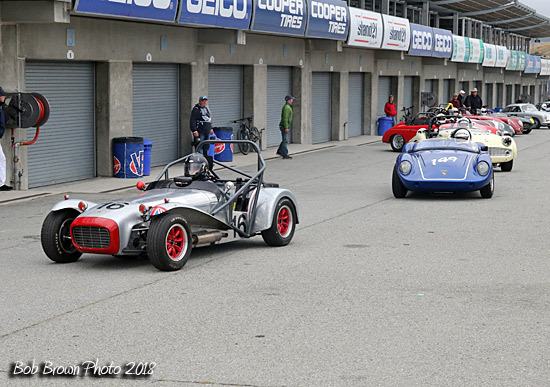 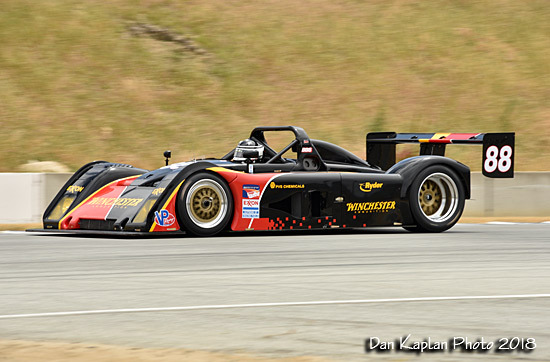 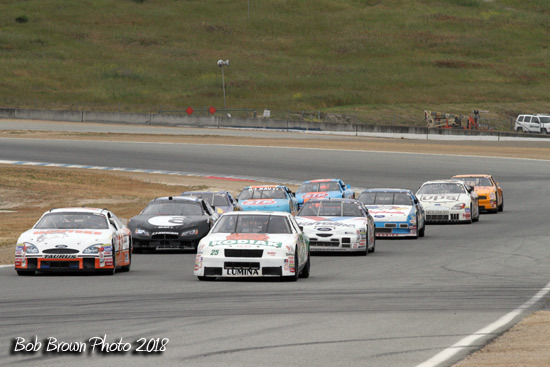 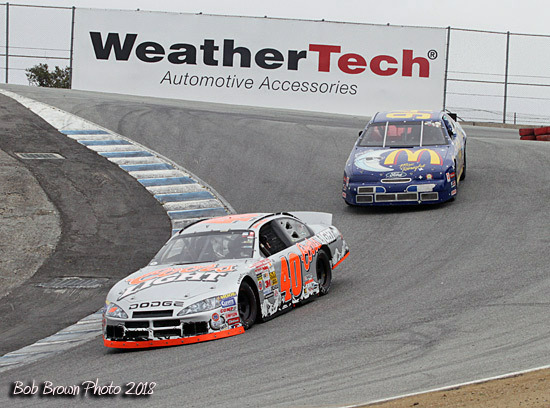 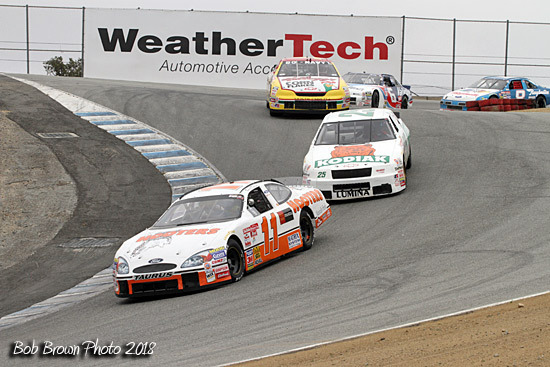 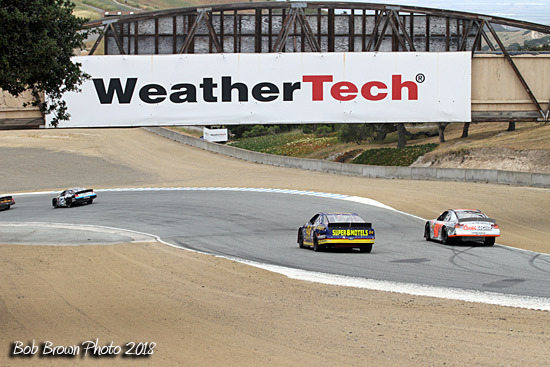 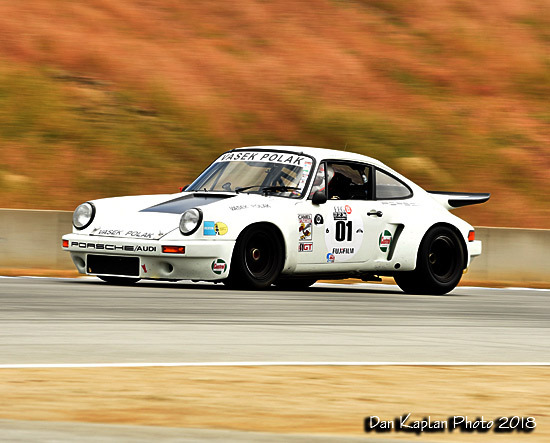 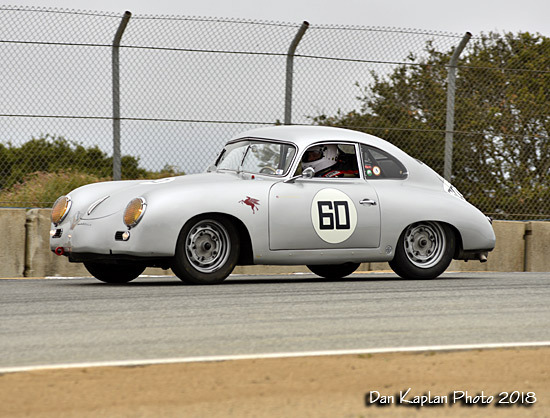 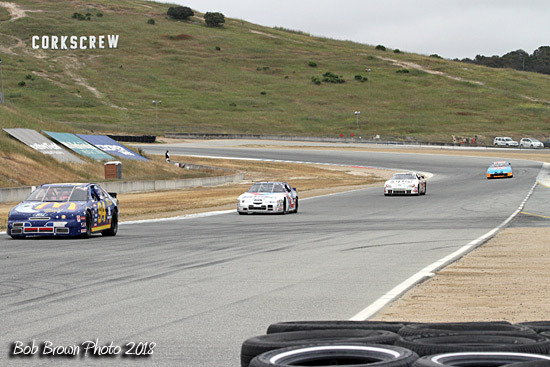 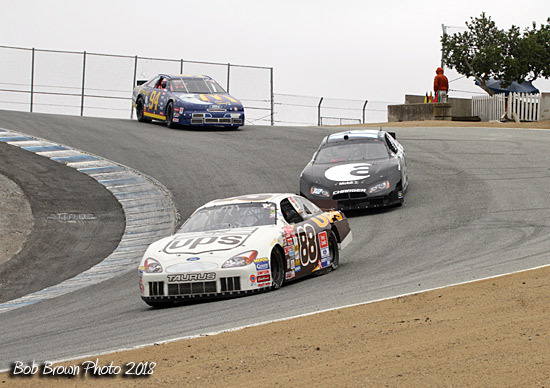 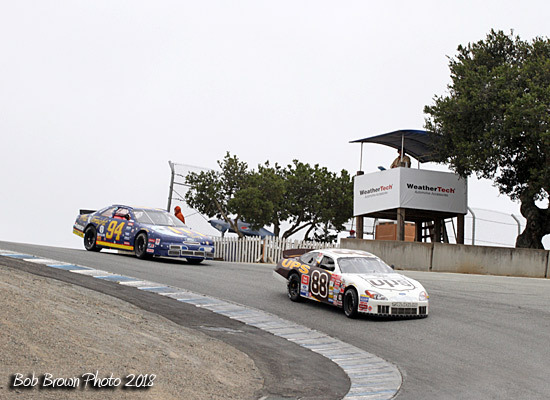 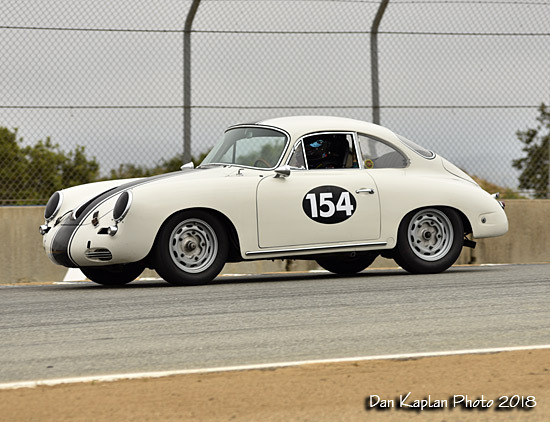 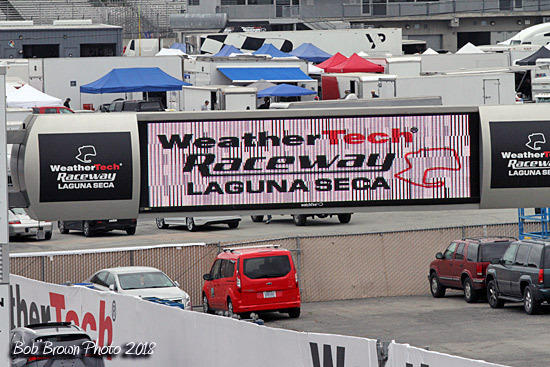 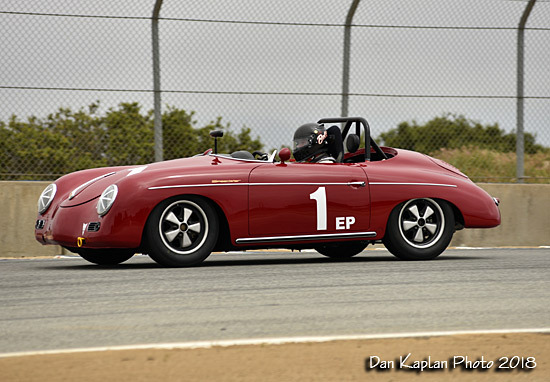 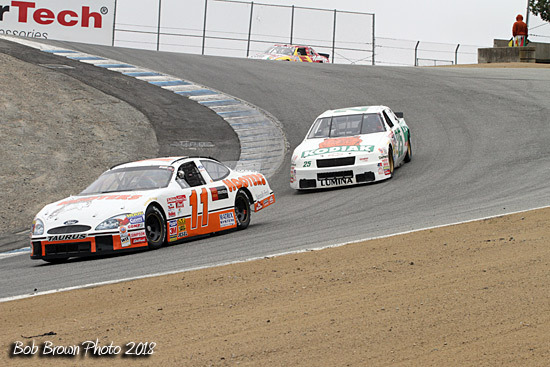 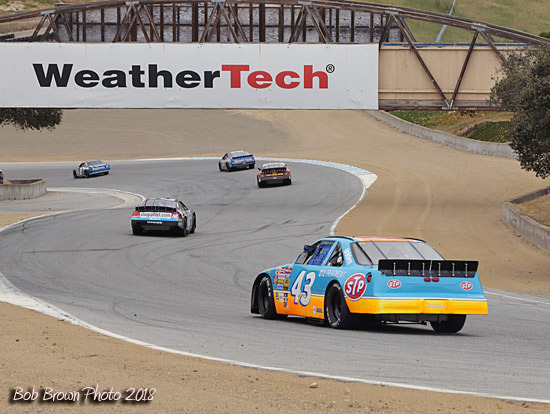 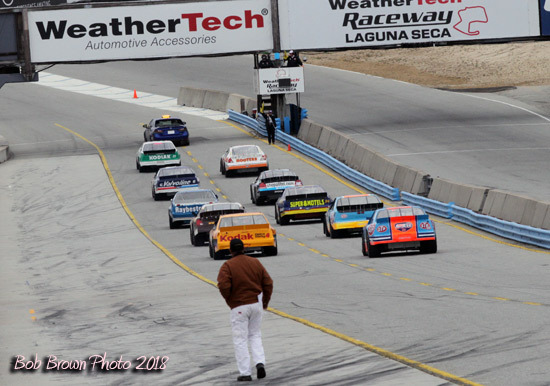 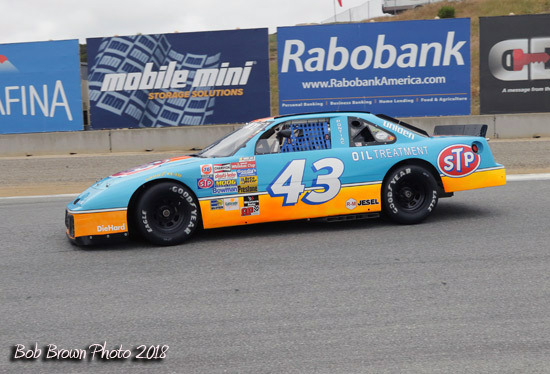 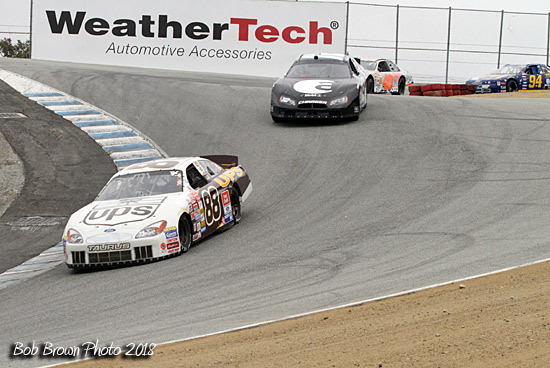 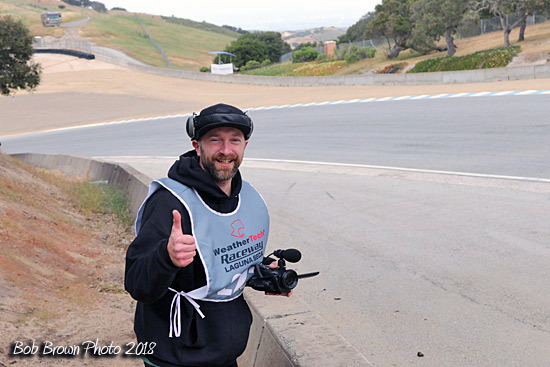 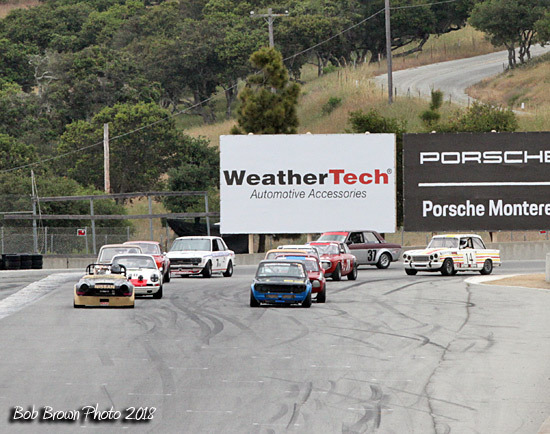 Martin Lauber, who raced during the original period, kicked things off with a win in Saturday Race 1. 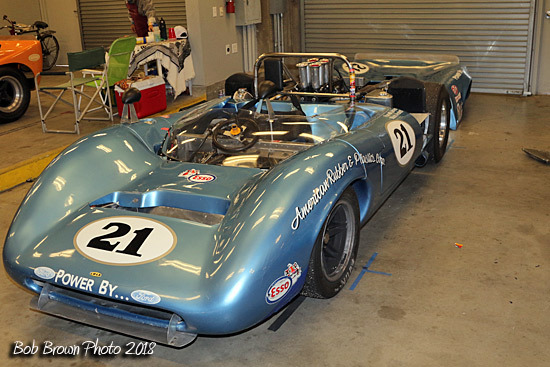 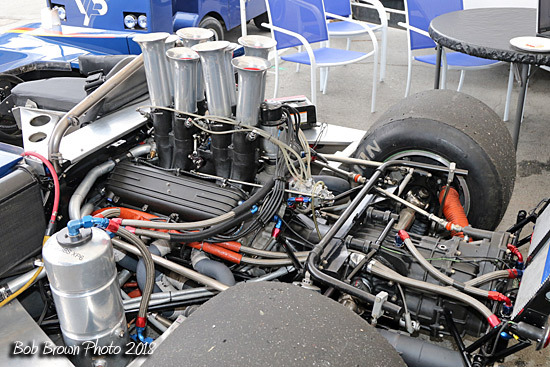 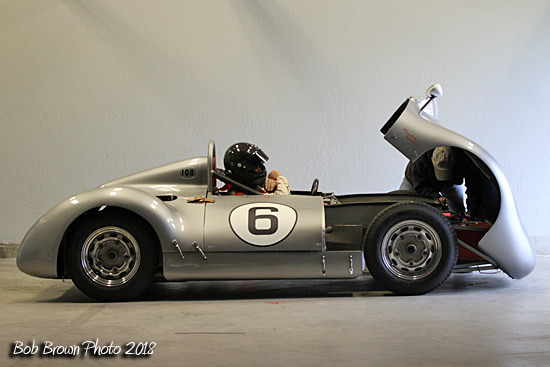 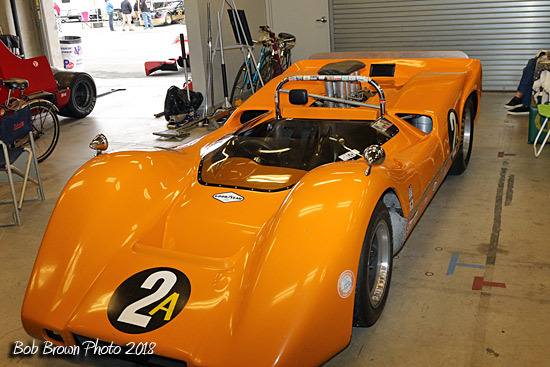 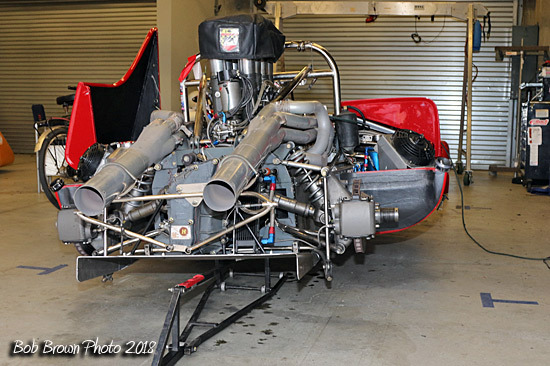 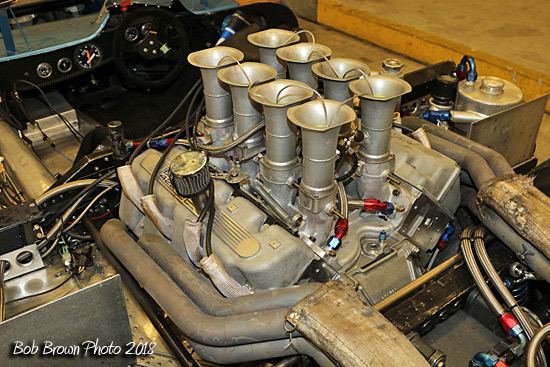 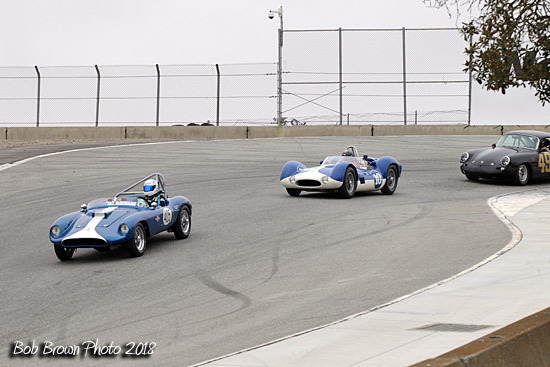 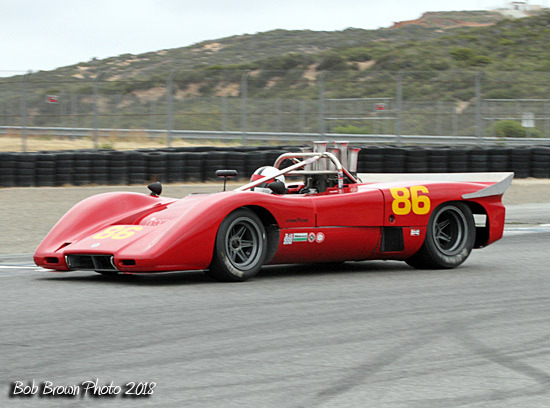 Chris Porritt got in on the action with a Sunday Race 2 victory in his 1971 Lola T202. 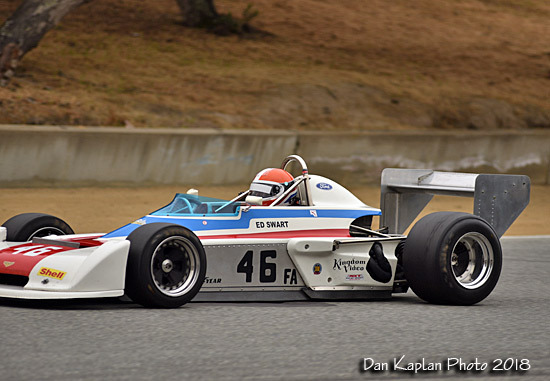 Lauber also raced with the 1965-1978 Formula B & 1965-1977 Formula C cars in Group C, scoring a win in Saturday Race 1 and second-place finishes in the following two races driving a 1969 Brabham BT29 that originally raced in Formula B. Jim Catchot earned back-to-back wins with his 1968 Chevron B10 on Saturday afternoon and Sunday morning. 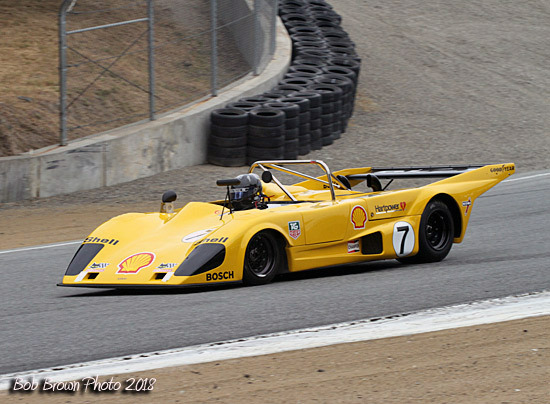 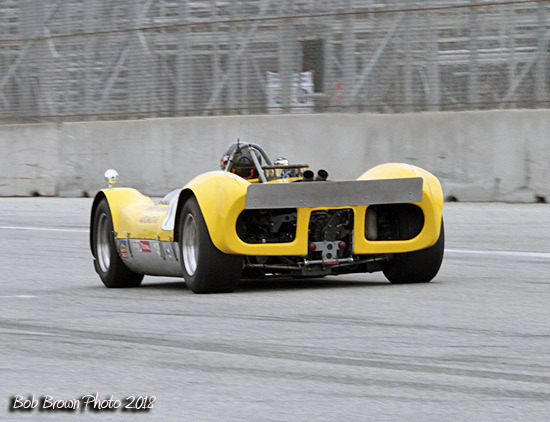 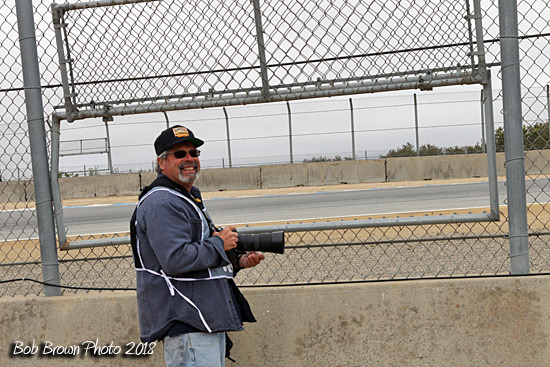 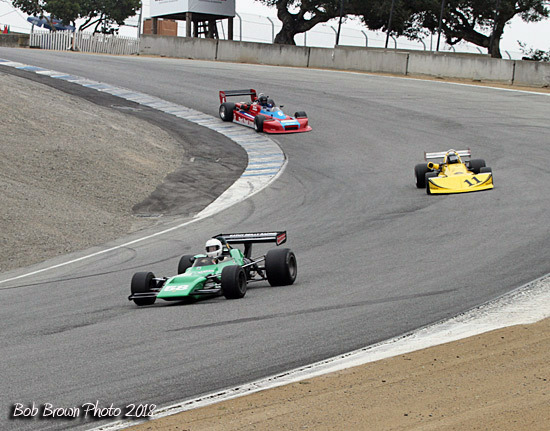 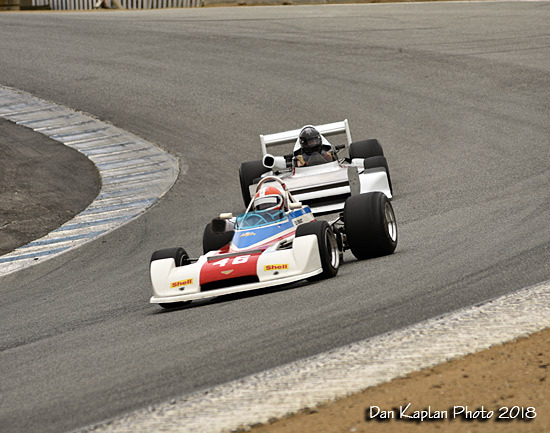 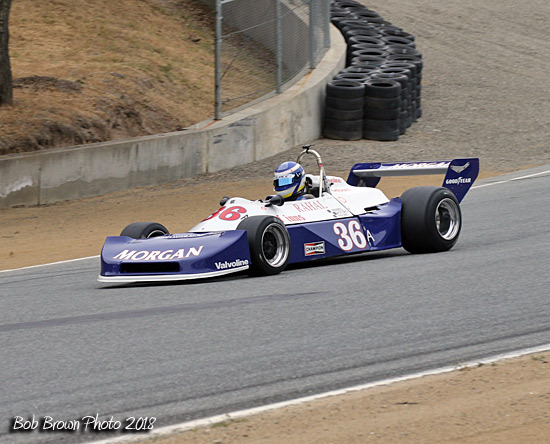 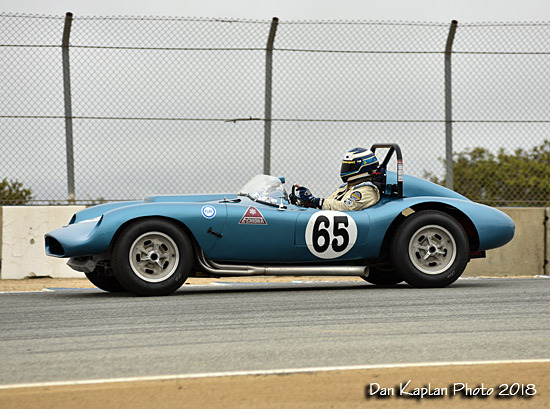 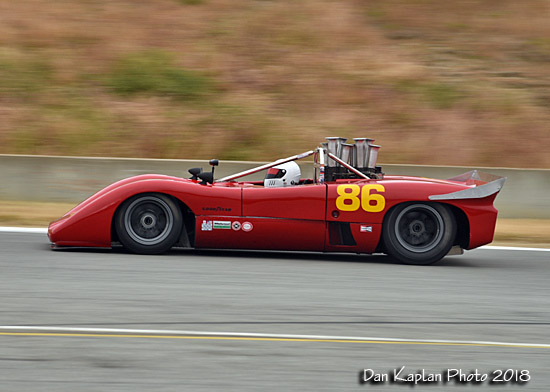 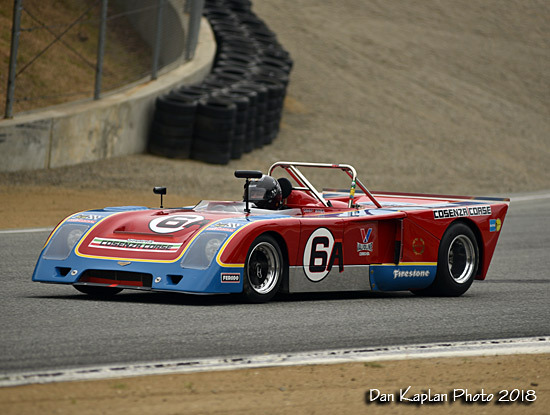 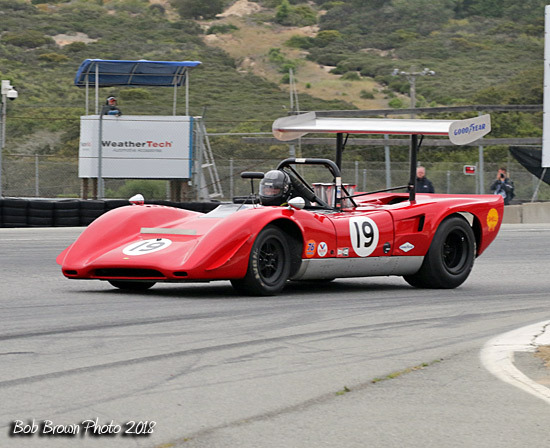 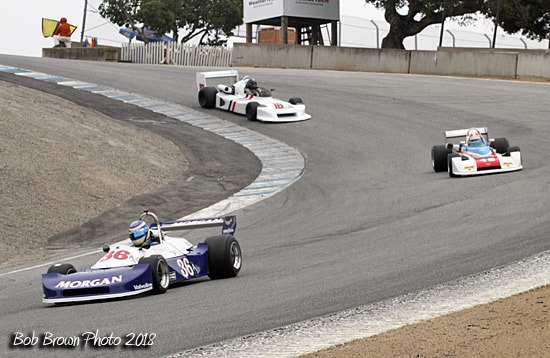 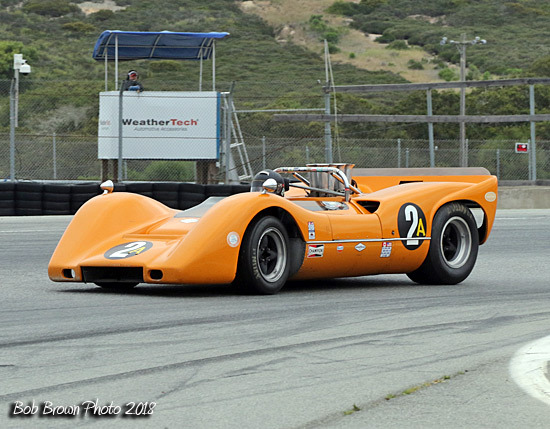 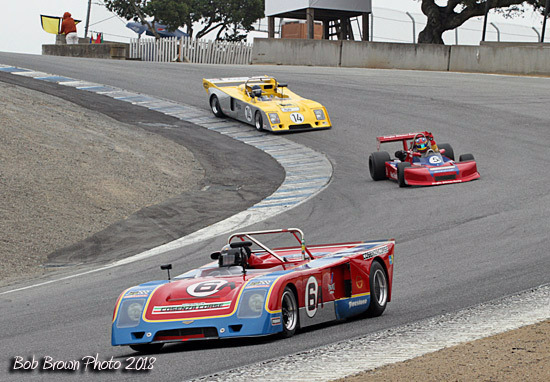 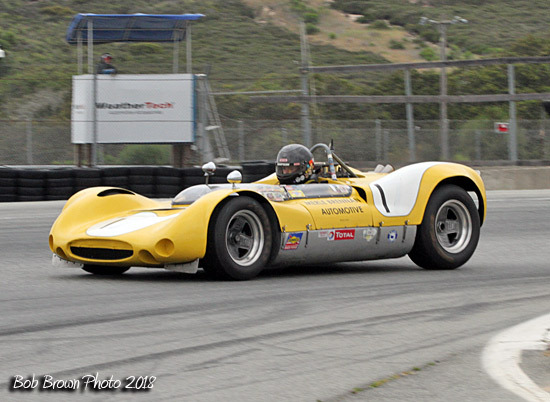 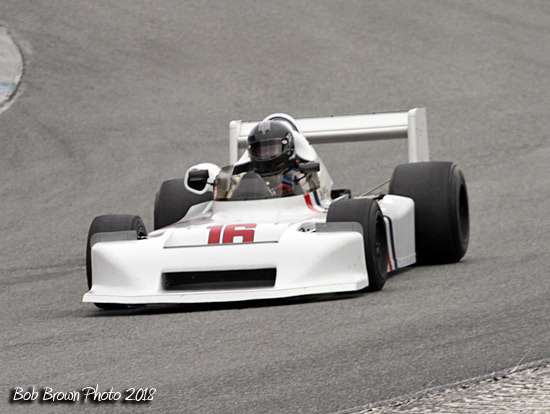 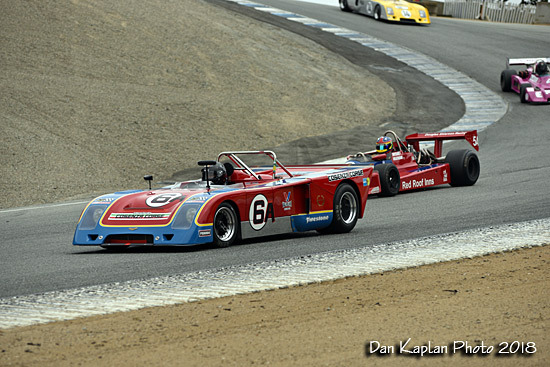 Travis Engen made his trip from the Eastern seaboard worthwhile by punctuating with a win in his 1970 Chevron B178. 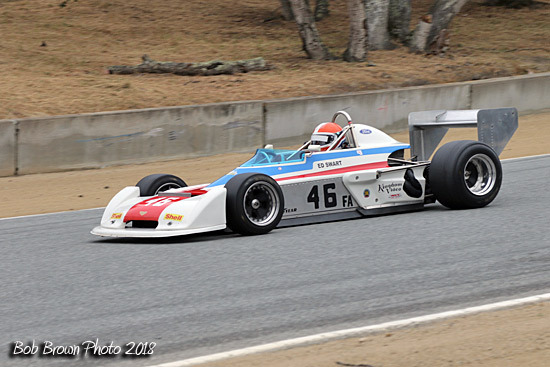 Engen doubled down with a win in Group H on Sunday driving a 1976 Ralt RT1. 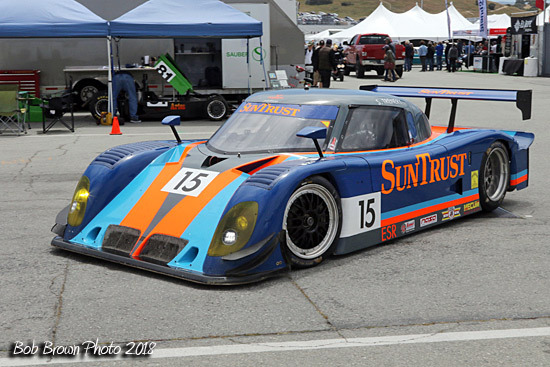 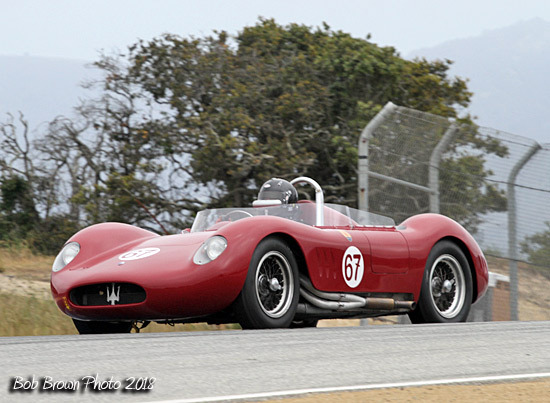 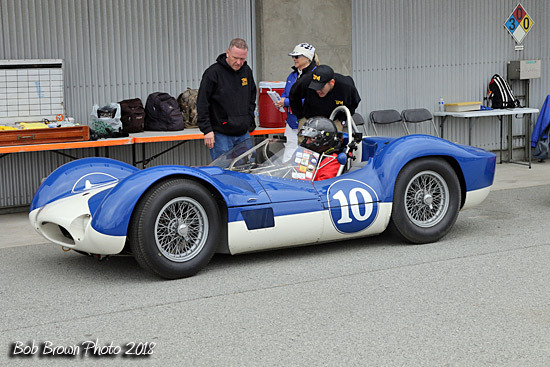 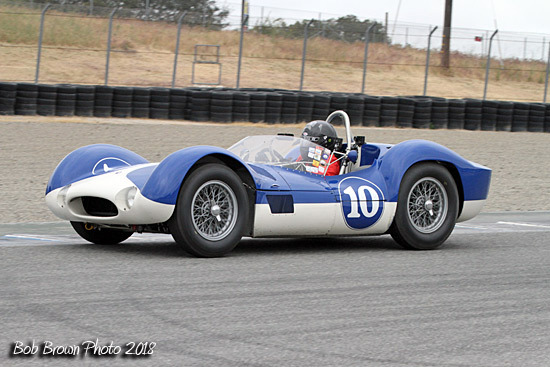 Former Wal-Mart chairman Rob Walton had a strong outing in the Sports Cars Under 2.0 Liter class in Group D with three consecutive victories in his 1960 Maserati Tipo 60 on Saturday afternoon and both Sunday races while also competing with the 1966-1972 Trans-Am 2.5-liter cars in Group G with a race-provenant 1967 Porsche 911 S. Walton finished second in Saturday Race 1 just behind Alec Hugos 1962 Porsche 356B. 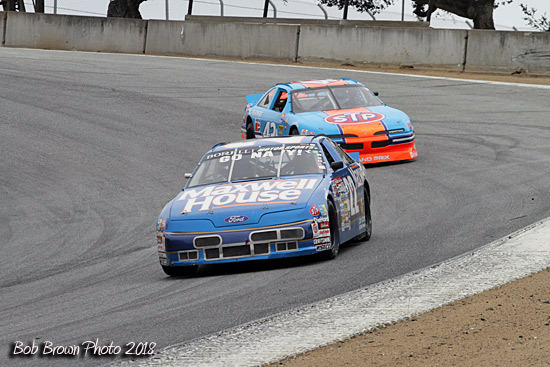 Fans familiar with NASCAR racing enjoyed the machines in the Group E 1974-2007 Stock Cars grid that some of their oval heroes once raced. 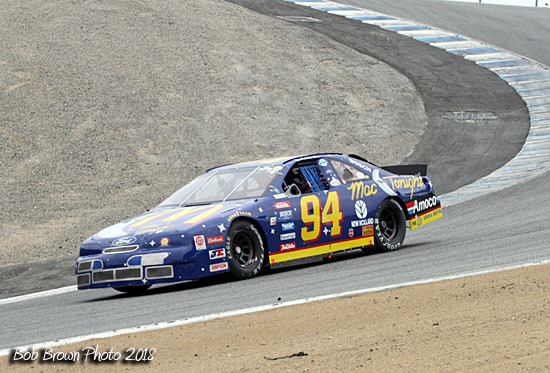 Frank Marcum had the most success with two morning wins and two second-place finishes in the afternoon in the No. 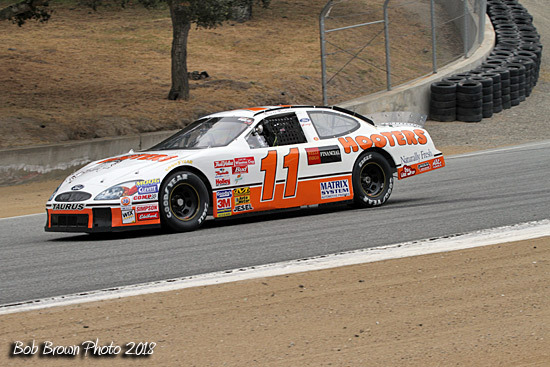 11 2001 Ford Taurus that Brett Bodine once raced with Hooters sponsorship. 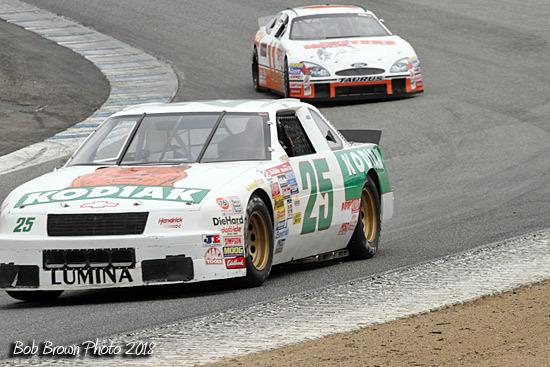 The afternoon races were won by Mac McGarry on Saturday in a 1989 Chevy Lumina formerly driven by Ken Schrader and Tom Cantrell on Sunday in the No. 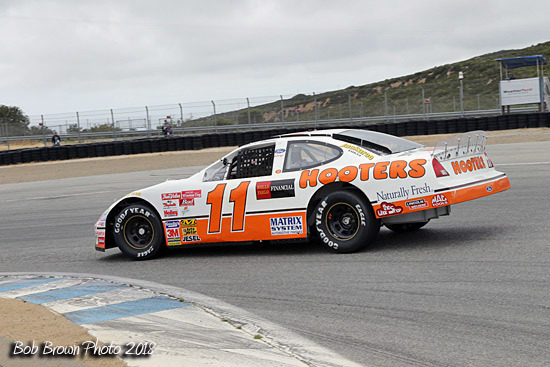 12 2005 Dodge Charger that Ryan Newman drove on road courses in 2005 and 2006. 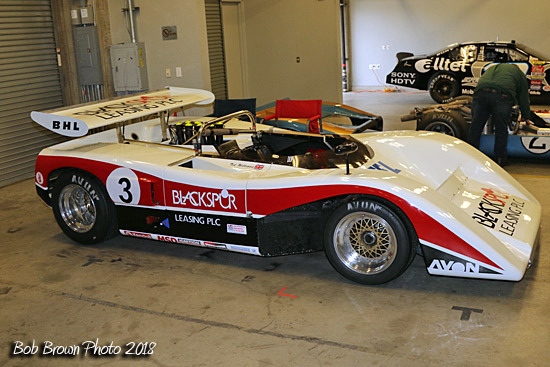 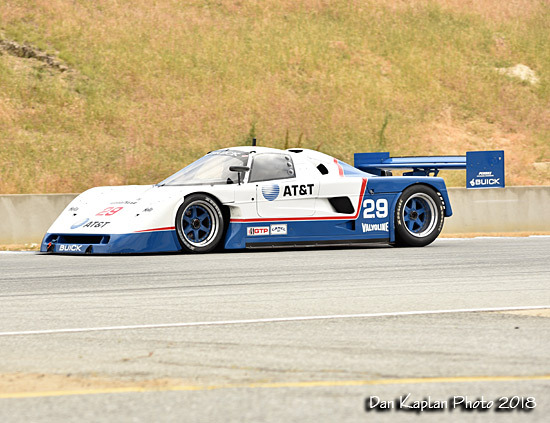 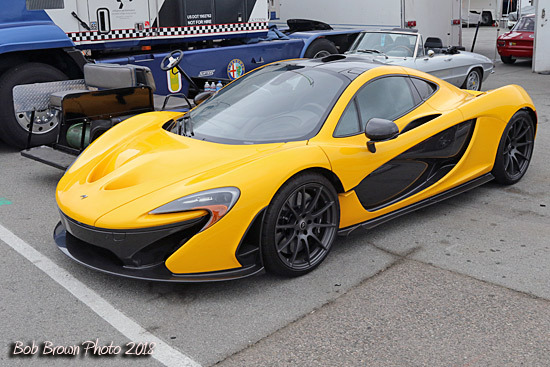 The screaming Can-Am cars in Group F were popular with fans on the track and in the paddock. 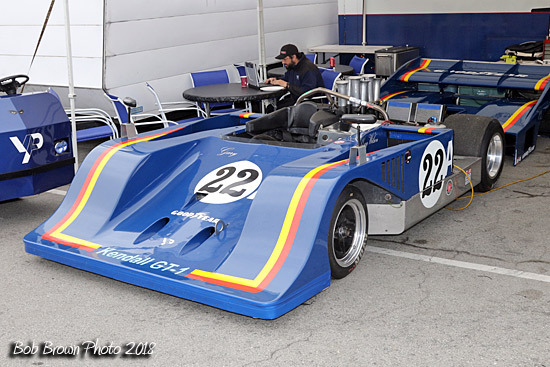 Ilja Burkoff drove a 1970 TRC Ti 22 MkII that competed here in the 1970-1972 seasons, and he won twice in as many attempts in both morning races. 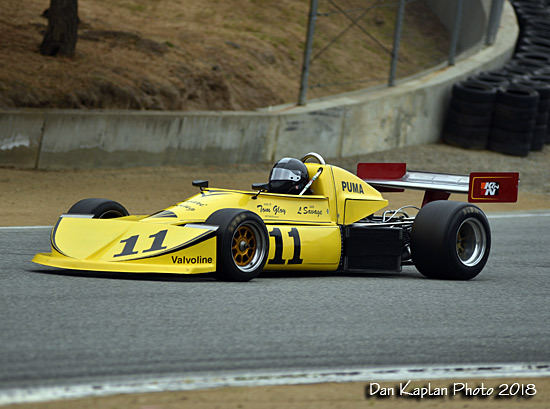 With Burkoff sitting out the last race, Scott Drnek nabbed the top podium step with his 1974 Sting GW1 with a best lap time of 1:32.0. 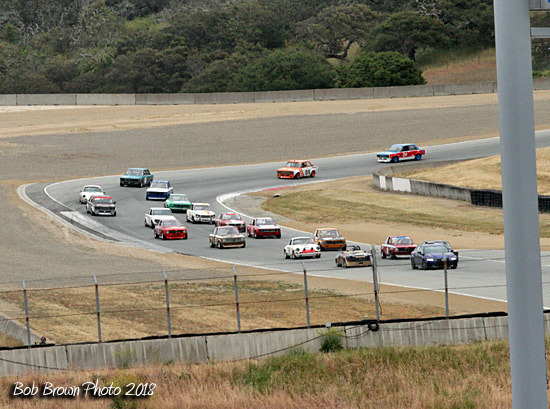 Though more than 30 cars were competing in Group G 1966-1972 Trans-Am 2.5-Liter, it was all Troy Ermish, all the time. 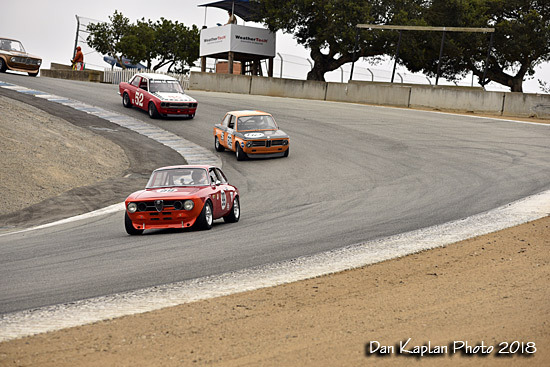 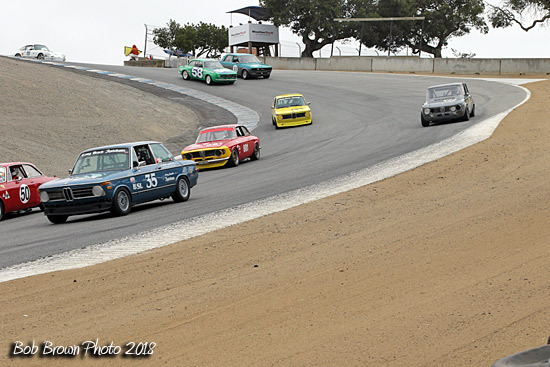 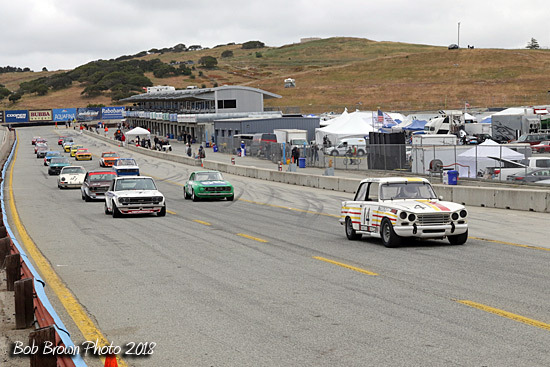 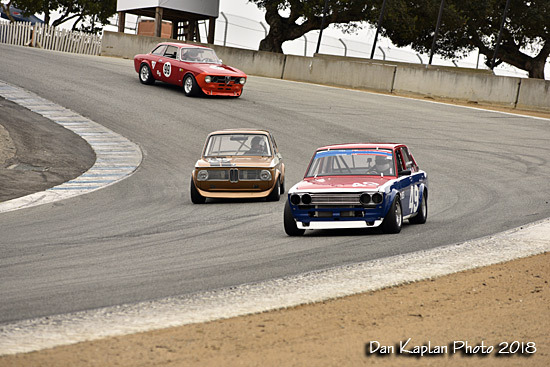 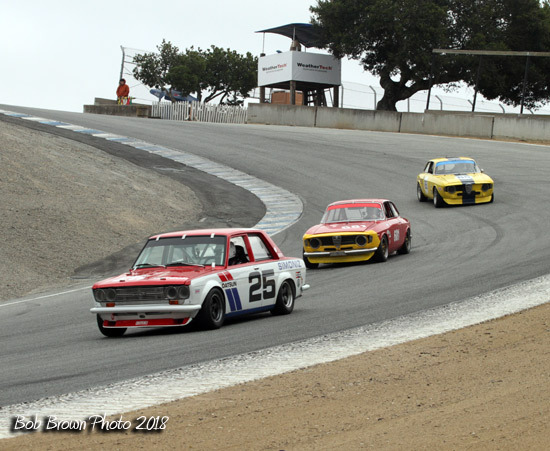 Ermish swept all four races in his 1971 Datsun 510. 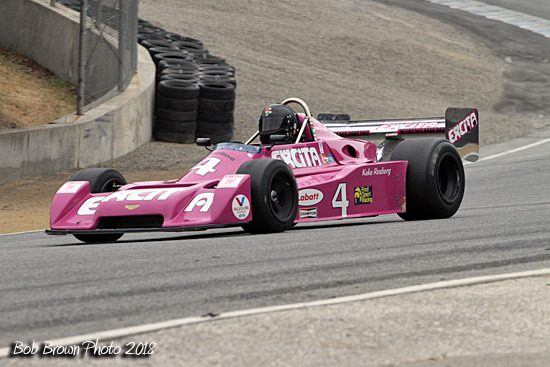 Like Ermish, Danny Baker went unbeaten in Group H 1967-1979 Formula Atlantic; 1970-1984 Sports Cars 2-Liter. 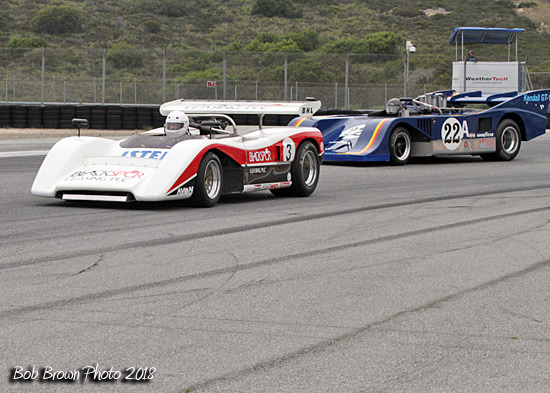 He parked his 1974 Chevron B23 with three wins, however, paving the way for Engen in the last race. 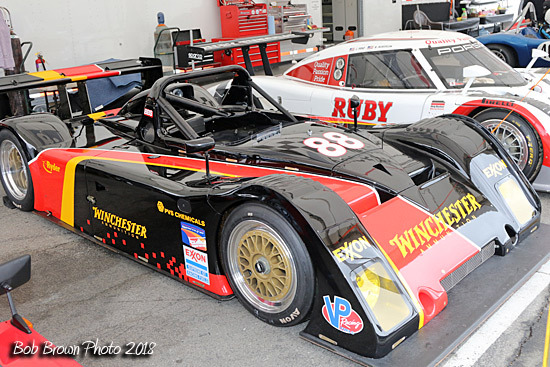 Wade Carter bookended the diverse Group I (1973-1987 FIA; 1990-2007 Daytona Prototype/IMSA GTO; GTP/LMP/WSC) with wins in his 1997 Riley Scott Mk3. 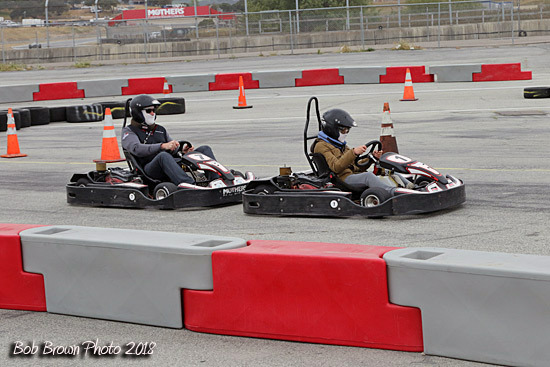 It was no wonder with a best lap time of 01.25:9 in the final race. 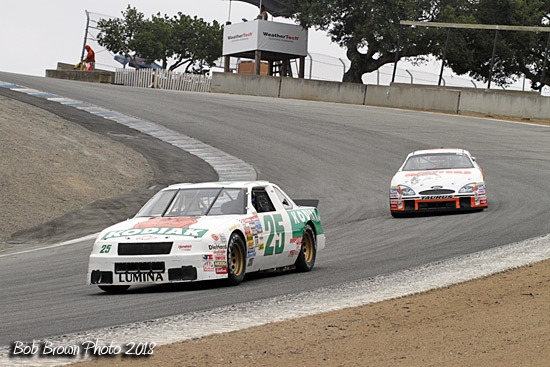 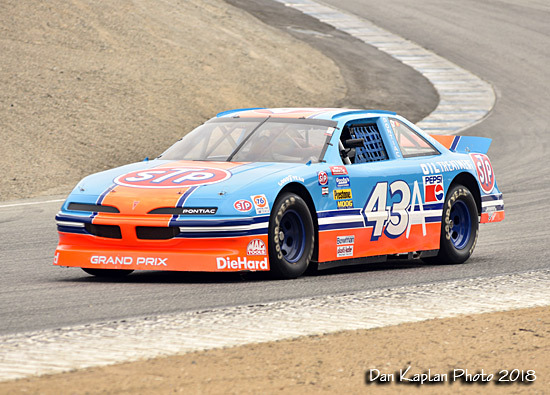 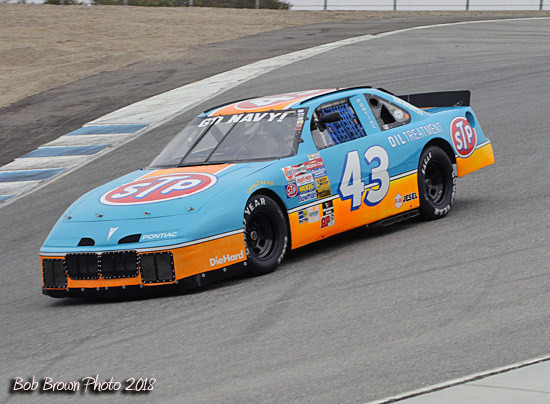 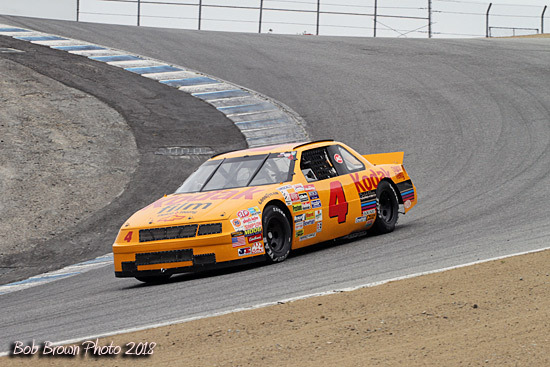 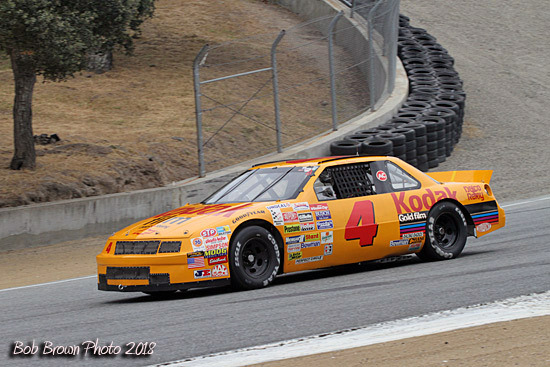 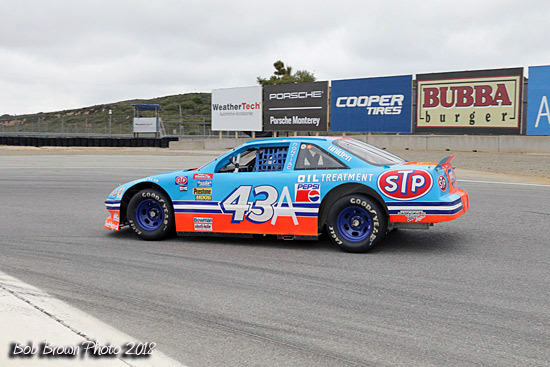 Motorcycle and car racer and car dealer Taz Harvey nabbed a win on Sunday morning in his 1987 Buick Spice SE87L. 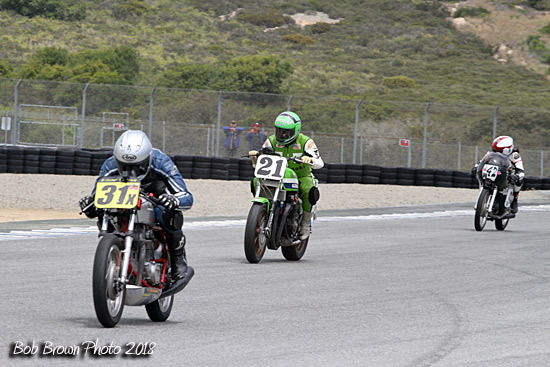 I won't lie, although I appreciate all forms of motorsports, road racing is no where close to my strong suit. 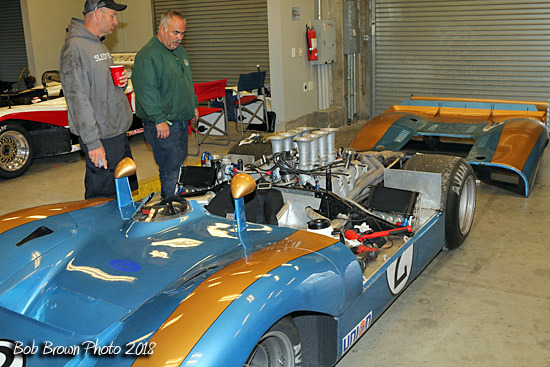 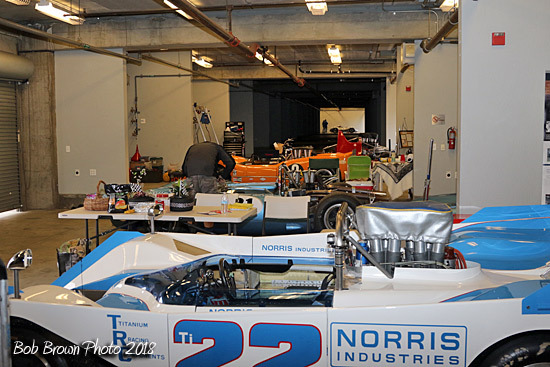 The following photos are shots are presented in somewhat of a random order to recognize some of the nostalgia group cars that shared the weekend with us drag racers.